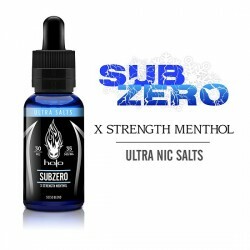 Like your nic salts sugary-sweet? Well, vape on this: eVo Bubblegum leads the pack in satisfying sweet flavour. Use with low-wattage vaping pod systems. Pop some of this longtime-favourite taste into your nic salt-ready device and vape away. You’ll be tickled pink. Steam Age Vape Shop ships eVo Bubblegum Nic Salts E-Liquid (with nicotine salts) NZ & Australia-wide. Introducing eVo, a delicious line of fruit and drink-flavoured E-liquids that are bound to send your taste buds into overdrive. Each eVo E-liquid is blended under the strictest quality control guidelines and ready to be vaped all day long. There’s a good reason eVo vape juices are so renowned. Each of their premium American-made e-liquids starts with quality ingredients from reputable sources. It continues with quality packaging that set the industry standard: best-by dating, trackable lot numbering, and child-resistant caps.